Create a beautiful collection of handmade paper to use in your craft projects with the Glitter Rainbow Paper Making Kit from Fashion Angels. 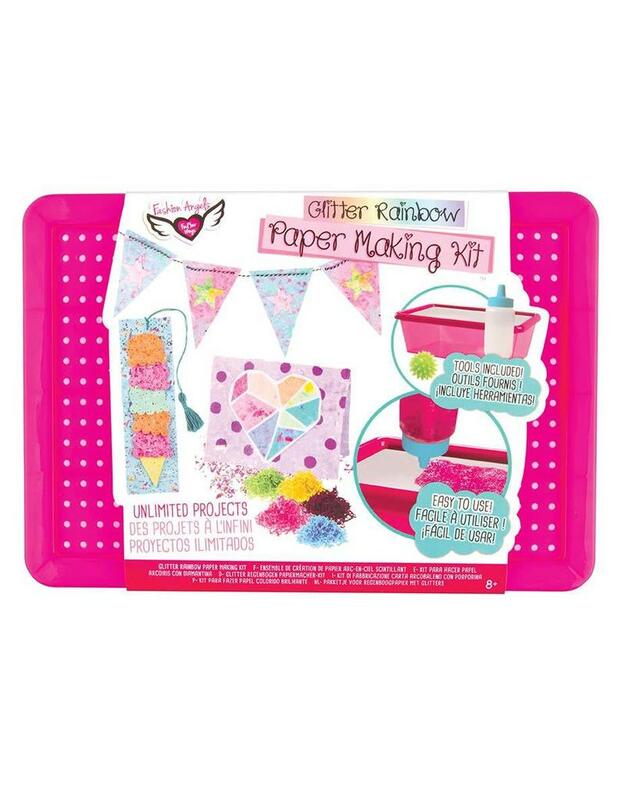 This fun and easy to use set includes all the tools you need to make colorful, sparkly paper at home. All you need is toilet paper from home! Pick your favorite colors and as much glitter as you want. Add water, shake, and squeeze the paper pulp onto the drying screen in whatever shape you need for your projects. Make cards, banners, bookmarks, and more – the possibilities are endless.